Will my screens rust? How much maintenance will they need? No. The stainless steel mesh in Crimsafe Security Products is made from 304 stainless steel which is the same grade stainless steel used to make your kitchen sink. They do require some cleaning maintenance for aesthetic purposes primarily, however they are designed to set and forget which means minimal maintenance. Why is the only mesh colour available black? 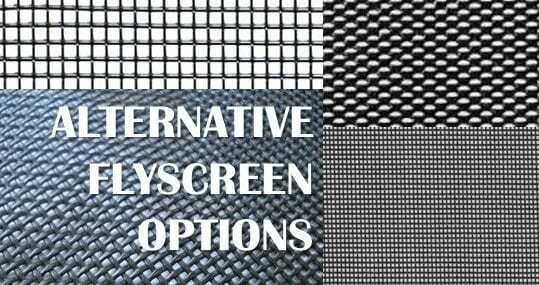 There’s a very good reason why the colour choice is black when it comes to the stainless steel mesh in Crimsafe products. Since black absorbs light and is not reflective it means that you can see light more easily through the holes compared to other colours. Will the security screen block my view? Depending on the light and time of day, a Crimsafe security screen will still allow a good outlook and will not reduce your view in a substantial way. 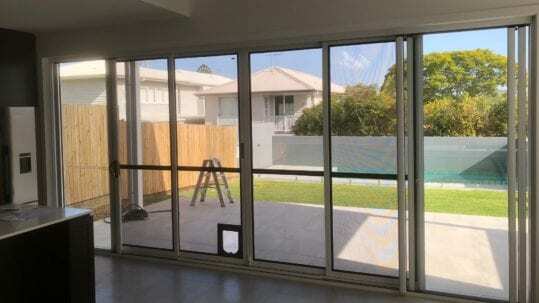 It’s unrealistic to say that it won’t change or affect visibility at all, but from a distance a crimsafe security screen will have a transparency similar to tinted glass.An added benefit of the Crimsafe system is that it acts as a blind and can help the thermal efficiency of your home by reducing the intensity of the sun’s heat. Independent studies have shown that installing a Crimsafe screen reduces solar heat gain into the home by over 50 per cent, when covering the whole window. Will my Crimsafe Screens keep insects out? Crimsafe doubles as a flyscreen with holes 1.5mm X 1.5mm and will keep out flies and mosquitoes. Customers often ask our Vincent Security team why the Crimsafe products are so much stronger than other security screens. 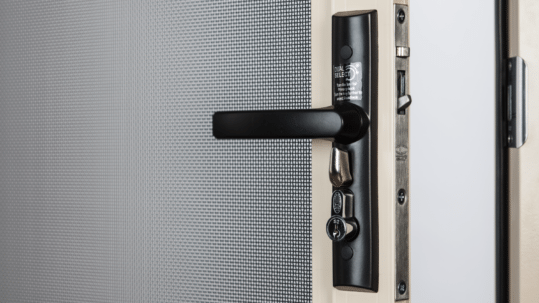 There are many elements that go into making the Crimsafe products so robust, but one of the major reasons the doors and screens are so strong is that the stainless steel mesh is screwed and clamped down into the door frame using a special patented system. This unique selling point is technology that cannot be legally copied by other manufacturers. If barged against or kicked, the screw clamp distributes the impact force evenly throughout the frame structure making the screens able to absorb very strong impacts, especially compared to other plastic wedging systems which are easier to kick out. The stainless steel mesh used in Crimsafe products also is slightly thicker than other stainless steel mesh products and each strand is woven in such a way that the surrounding strands support and strengthen each other. Do Crimsafe Doors always come with Triple locks? At Vincent Security all Crimsafe Doors have Lockwood Triple locks.